Daisy ate really well what we brought her and then some Chinese food and fruit. 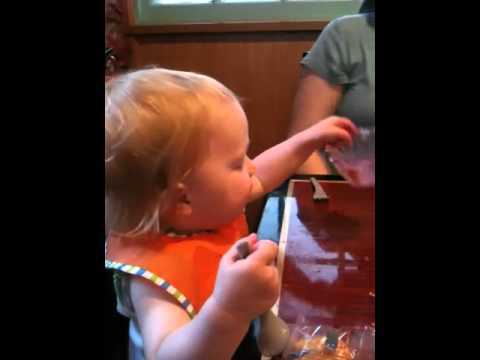 She used her spoon for a bit but realized it was still quicker to use her hand! She was adorable!!! Even after sneezing on me with a mouth full of ice cream! 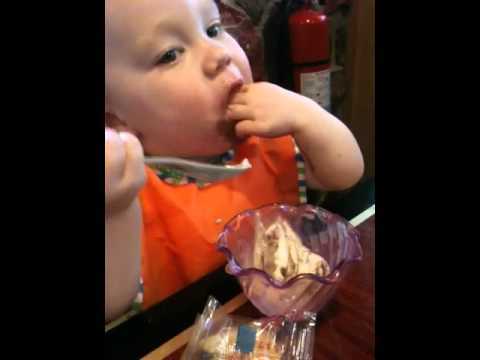 She then drank the melted ice cream from the bowl like she does her milk from her cereal bowl in the mornings but i didn't get a video in time as I was still coated in sprayed ice cream.